I'm writing a document in a latex. In a part of this document I would like to use ordinal numbers for cross-referencing chapters and parts. I'm not interested in modifying globally how the cross references are managed because I would like to use ordinal numbers only in part of the document. 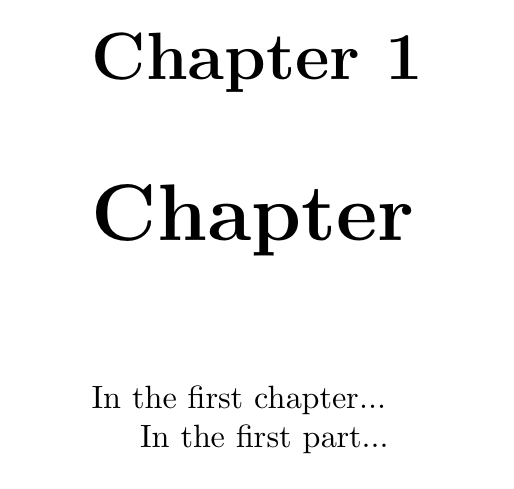 The solution proposed in How to refer to a chapter with a word works only for chapters. Is there a package or another solution for doing it? The problem is to convert back the Roman numeral with which parts are referred to into an arabic number for \ordinaltoname from numname to work. A couple of runs are necessary, as usual, for the right name to appear. Thanks to Heiko Oberdiek (refcount), Peter Wilson (the macros in numname) and the LaTeX3 team. Not the answer you're looking for? Browse other questions tagged cross-referencing or ask your own question.